An increasing body of research has used the concept of social capital to explain health and well-being inequalities. Still, relatively few studies have specifically focused on older people. 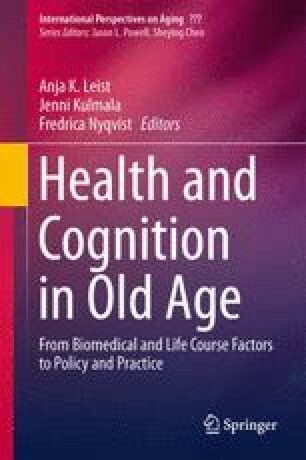 Our prime interest in this chapter concerns the concepts of social capital and mental well-being and the meaning of social capital for mental well-being in terms of absence of loneliness in older people. We focus on two commonly used aspects of social capital, structural and cognitive, and their association with loneliness by analyzing the European Social Survey data for three countries. Our analyses suggest that there are differences in social capital, in terms of social contacts and trust, and loneliness between Finland, Poland, and Spain. In general, older people in Finland report lower levels of loneliness and higher levels of social capital. The level of loneliness tends to be lower with high levels of social capital; however, this association differs between the studied countries. The findings are discussed within the framework of active and healthy ageing policies and welfare state regime contexts. The work by Fredrica Nyqvist was supported by the Academy of Finland (grant number 250054) as part of the FLARE-2 programme. We would like to thank Gunborg Jakobsson for her helpful comments and suggestions on earlier draft of this chapter.